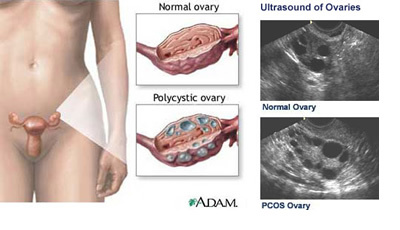 Polycystic ovary syndrome (PCOS) is very common through out the world. Polycystic ovaries can be caused by a number of hormonal abnormalities, these cause eggs in the ovaries to not develope properly which then turn into small cysts. Polycystic ovary syndrome (PCOS) is very common through out the world and is thought to affect up to 20% of women. Although PCOS itself cannot be cured, its symptoms are treatable. Symptoms can vary from person to person and in severity, while some people may only have 1 visible symptom, some may have 2 or more and some may even have all. It wholly depends on the individual. Some of the more common symptoms are unwanted hair on the face or body, irregular periods or a complete stopping of periods, difficulty becoming pregnant and repeated miscarriages, acne and excessive spots, thinning hair, hair loss and alopecia, weight issues, depression and mood swings. The actual cause of Polycystic Ovary Syndrome are not fully understood at this time and much research is still being conducted on the condition and its symptoms. It is thought that a number of differing factors are involved as this would explain why symptoms differ widely between individuals. It is also possible that there may be a hereditary link where a person can inherit a greater chance of developing PCOS but a number of factors such as diet, health and lifestyle will still ply a part in whether such persons actually develop the condition. A combination of scans and blood tests are use to diagnose PCOS, these tests can discover any ovary abnormalities or hormonal imbalances which may have been caused by or lead to PCOS. In a study conducted by Verity, a UK charity focused on helping women with polycystic ovary syndrome, they found that one of the most common symptoms of PCOS is excess facial and body hair and most women agreed that this was the most embarrassing visible symptom of PCOS. 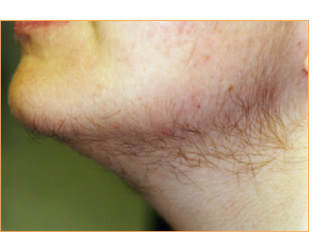 This condition is known as hirsutism, excess hair growth in places such as the face, neck, back, chest, hands and feet and is suffered by many women who have PCOS. Hair can often grow courser and faster than normal meaning that shaving and waxing can be impractical and a time consuming process. Unsurprisingly most women with PCOS said that they want something long lasting and with greater convenience. This is where Laser Hair Removal can help. Polycystic ovaries in women is quite common and effects millions of women worldwide.